The record that everyone has been talking about... After premiering an exclusive cut as part of our Electronic Audio Vol.2 campaign, this next euphoric monster from Solis & Sean Truby is finally getting unleashed to the masses. 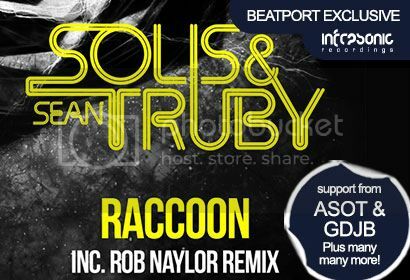 Delivering their next seminal cut ‘Raccoon’ on Infrasonic, the S&ST guys once again come up with the goods and deliver a track that is certainly going to take your breath away. The gritty production and energy builds ahead of the truly sensational drop and euphoric chord selection the guys have opted for. Nothing short of mind blowing! On hand to inject his take on this classic in the making is Rob Naylor, who if you like your psy influences, delivers a forward thinking genre infused journey. 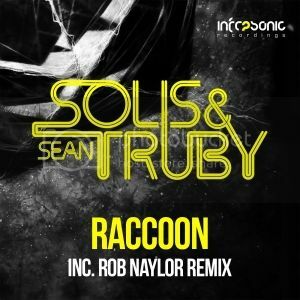 Cool psy influences, techy elements and of course paying homage to the uplifting nuances from the original, Rob has perfectly wrapped up a fine alternative and completes this mouth-watering package. Mega!